in 28 years. On paper it was no easy task confronting United on this auspicious occasion. 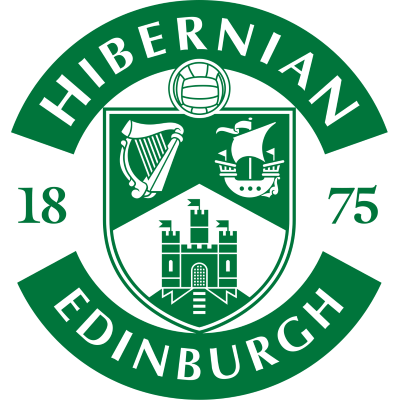 Hibs were an experienced side and a major force in Scotland. The previous Saturday they had destroyed Airdrie 6-1 with Joe Baker getting four of that total. Even as late as the early 60's there were still two members of the famous five on view. Bobby Johnstone had returned from Manchester City to team up again with winger Willie Ormond whose brother Gibby was in the number 11 shirt in the Tannadice ranks. The stage was set for a rousing contest and how United responded to the challenge of higher grade football. They went out in determined mood and fought every inch of the way. In the first half particularly, United played a brand of football which Hibs could not match. Most of the credit for our victory went to the half-back line of Neilson, Yeats and Fraser who put a stop to most of Hibs' moves. By half-time United had established a three-goal lead, but it might have been six, as United celebrated their return to the First Division in style. 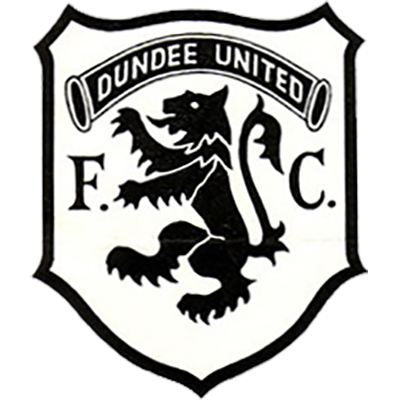 The goals came from Dennis Gillespie, Eric Walker and Tommy McLeod, but in addition, United had a goal chalked off and two strong penalty claims turned down. 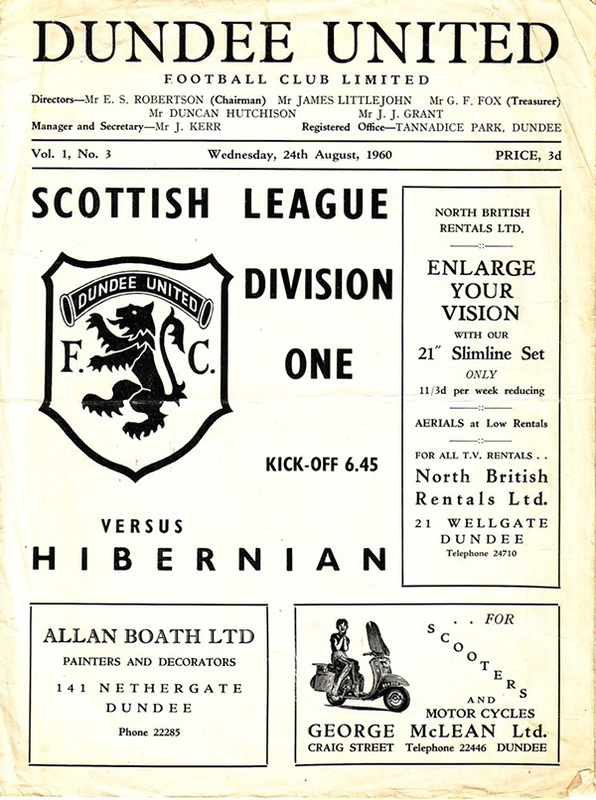 Not unnaturally United tired in the second half which allowed Hibs back into the game and the Easter Road men did hit a consolation goal when Willie Ormond's shot took a deflection to deceive keeper Lando Ugolini.